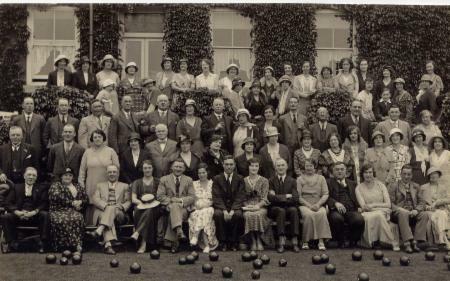 The Tamworth Castle Bowling Club was started in the early 19th Century. I have several postcards with members similar to the one above from the early 1930s and one from the early 1960s. My grandma (the newly Mrs May Stephenson) is top right, with her mother (Rhoda [née Stonehouse] Brain) on her right. Reg Brain, one of May's brothers, won many trophies for playing bowls in Tamworth. Harry Stephenson played for Tamworth Athletic and Tamworth Castle Football Clubs. He even became Captain for TCFC. I don't take after him in that respect! 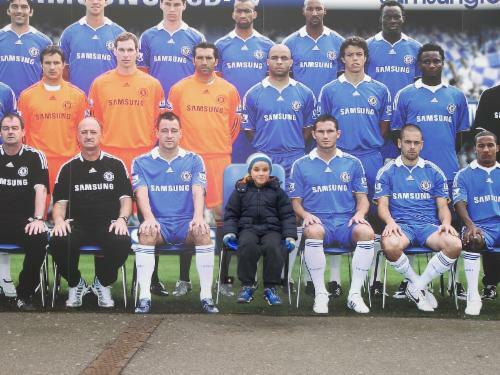 You will see numerous footballing images in the Photo Album. Contemporary match reports in the Herald go into a lot of detail. It seems that my granddad scored some cracking goals as well as making fine speeches after the game. 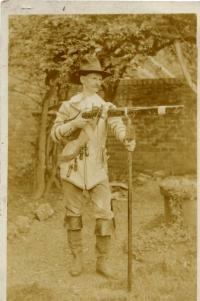 Harry's brother, Charles, took part in the Air-Rifle League in Tamworth. 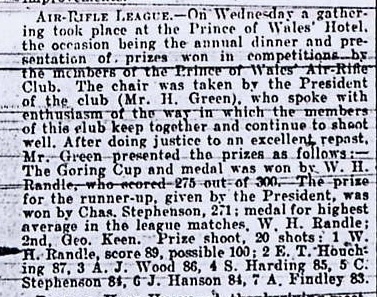 In the above scan he is named as playing for the Prince of Wales Air-Rifle Club - named after the pub where they did their training I presume. The scan below has nothing at all to do with my family. It was at the top of the column about the Air-Rifle League and I found it very amusing! Harry's brother, Percival, was a keen water polo player. So far I haven't discovered any reports in the Herald about it. 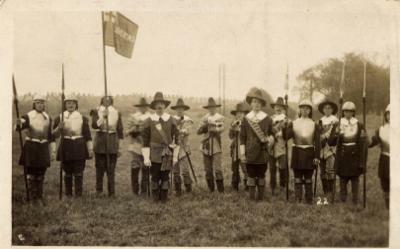 This was the year that the famous Millenary Monument was unveiled near Tamworth Castle. It was constructed to remember the 1000th Anniversary of Ethelfleda (daughter of King Alfred the Great) fortifying the town against the Vikings. As part of the celebrations, many people got dressed up to enact various historic eras. My grandfather took part in Episode VIII - the Cromwellian Era. My grandfather is pictured with a false moustace. In the picture below, he is fourth from the right. 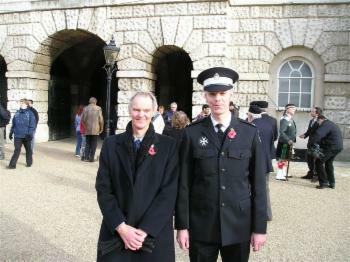 Here are my dad and brother on Horse Guards Parade on Remembrance Sunday 2006. They had just marched past the Cenotaph in Whitehall - my dad marching with the National Service contingent and my brother with the St. John Ambulance group.